Three transgenic cotton varieties (lines) were chosen for the study of inheritance and segregation of foreign Bt (Bacillus thuringiensis toxin) andtfdA genes in cotton. 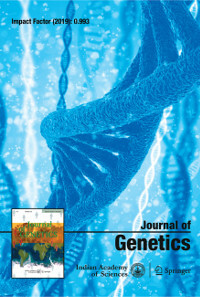 The transformed cotton varieties CCRI 30 and NewCott 33B expressing the BtcryIA gene, and cotton line TFD expressing thetfdA gene were crossed with CCRI 19, CCRI 12 and Lumian 6. The results confirm inheritance and segregation of (i) the exogenous Bt gene in transgenic CCRI 30 and NewCott 33B, governing resistance to bollworm, and (ii) the exogenoustfdA gene in transgenic TFD, governing resistance to the herbicide 2,4-D. Both resistance characters were governed by a single dominant nuclear gene, and were not affected by cytoplasm. Our data support the conclusion that foreign traits encoded by single genes are inherited and expressed in Mendelian fashion in cotton. Our results also indicate that a practical backcross breeding program could be used to develop cotton cultivars combining one or more resistance traits from foreign and native gene sources.